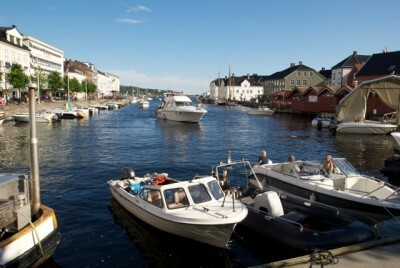 Top politicians from all of Norway’s political parties will be showing up in the scenic coastal town of Arendal from Wednesday, when the second “political meeting place” called “Arendalsuka” gets underway. Partisan politics look likely to prevail, though, with not even the three current government parties getting together to promote a common platform. Labour, which leads the current “red-green” government coalition, formally launched its campaign for the upcoming parliamentary elections at a garden party over the weekend where its government partners, the Center Party (Sp) and the Socialist Left (SV), were notably absent. Newspaper Aftenposten reported on Tuesday that while the three parties campaigned jointly in the run-up to the last two elections in 2005 and 2009, they’re not making joint promises this year. Labour Party Secretary Raymond Johansen told Aftenposten that “I am responsible for our election campaign. It’s first and foremost the (Labour) gang I’m responsible for,” not members of SV or Sp. The three parties also have many differences, with SV firmly opposed, for example, to oil drilling off Lofoten while Labour has agreed to study the possibility. Sp continues to advocate a highly regulated and protectionist society, while Labour and even SV are more liberal. And Labour’s top leaders support joining the EU, while SV and Sp are opposed. The four non-socialist parties that are leading in the polls and seem keen to form their own conservative coalition have been more eager to be seen together. 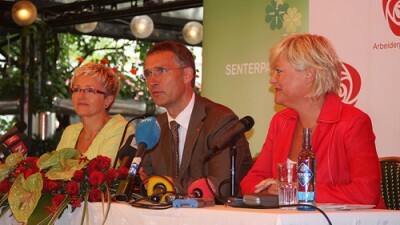 At Arendalsuka, though, there will be party leader debates with each responsible for his or her own party platform, along with individual party campaigning and “informal” meetings between politicians and business leaders. Heavily involved in what some call a “political festival” are, once again, leaders of one of Norway’s most influential and controversial public relations firms First House, which has made waves by hiring a long string of former top politicians from ex-Health Minister for Labour Bjarne Håkon Hanssen to Tor Mikkel Wara, also a former Member of Parliament and adviser for Progress Party leader Siv Jensen. Both he and most all the participants will likely be using Arendalsuka, though, for some serious networking. The event runs through August 13.